Saturday was race day. Again, I cannot believe how far I have come in five months. This race was special and one I was really looking forward to. This was my first team race. Running with my sister in law and three of my lovely siblings. A real mixed bag of abilities between us. As in life, running as a team requires compromise and consideration. Sometimes you feel like the weakest link and the one holding everyone else back, but your team is there to encourage and support. “Me” might not appear naturally in the word “Team” but, by mixing it up, it isn’t hard to find. Saturday’s run was the Colour Obstacle Rush Newcastle. A commercial run (clearly American given the spelling of Colour). 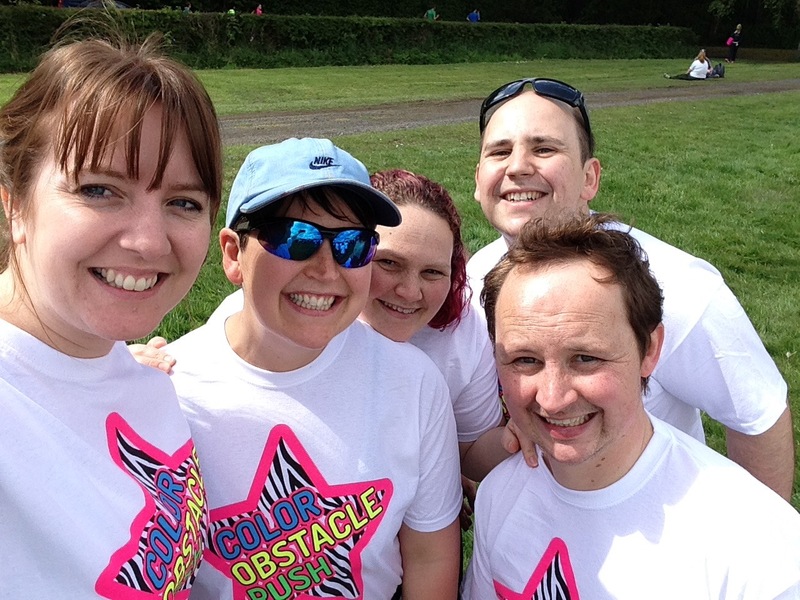 5k of running, inflatable obstacles, slides, bubbles and powder paint. The event is not serious, it is just for fun. Coincidentally, last week was Mental Health Awareness week (#MHAW16) and the theme was relationships. Excellent timing to be running as a team. After the birth of TM, I believed I had to do everything alone. The idea of asking for help, from even my closest family, made me feel a failure. Over time, and following the birth of MM, I realised I was so wrong. As with my run on Saturday, some things don’t need to be done alone. Over time I have built up a team of people who have helped and supported me. Family members, friends and health professionals. Some are regular supports, coming weekly to help me practically. Others are go to people who I know will understand if I just need to talk. As a runner, I prefer to train alone. I like the freedom and head space. Equally, with the monkeys, it gives me flexibility. I do, however, appreciate company when running races. As a team you can only be as fast as your slowest member. Running clubs adopt a system called loop back. Everyone sets off at their own pace. The fastest out in front the slowest at the back. After so many minutes, the faster runners out in front loop back to rejoin the slowest runners, before leaving the group again. This method has so many benefits. The more capable runners get a satisfying work out, covering more distance and being able to maintain their pace. The slow runners are motivated to push themselves and are made to feel a worthwhile member of the team. No one likes to be at the back struggling, watching others run away from them. Saturday’s race was a reminder to me of how team work can keep you going and motivated. It had been a difficult morning with the monkeys, so a bit of freedom was welcomed. Some of us ready for a good workout, others not really in the mood. Our collective objective, however, was to have fun. Our ever changing dynamics over the years has meant that we do not see as much of each other anymore. This was a rare opportunity for us to spend time together. My youngest sister wasn’t with us and there was a discussion about the merits of running with a cut out of her face. We decided against it, mostly because it only came up when it was too late. The run itself was great fun, but don’t expect to do much running. In fact most participants walk between the obstacles. Then, when you get there, you usually have to queue to get on and over each section. The highlights of the day were the giant space hopper run, the inflatable slides and just having great fun with my family. Things to note, should you wish to take on a Color Obstacle Rush, are, 1) you need sunglasses (although it won’t stop you participating, they won’t take any responsibility if the paint powder gets in your eyes); 2) if you’re asthmatic you might find the paint powder a little irritating to your breathing (I did). I didn’t find it unmanageable though; 3) it does cost. Early bird discount was £30. It includes a T-shirt, medal and paint packet to throw at each other at the end; 4) the powder paint only sticks if you get wet. There is a water stop and water bomb stations, but a rain storm is ideal; 5) finally you must print out your e ticket and waiver and remember ID. Not like other events where you can turn up with your number and just race. Despite the above, however, I found the event well organised even though it was busy. The start times are broken down into waves of participants and the start line is a queue on to the first obstacle. You only start in groups of 4-5 people so expect a delay to get going. Once going, it is a steady pace, achievable for all abilities. The powder paint also washes off easily. A 30 degree wash brought everything, including my trainers, up like new again. I believe my team for Saturday’s event was perfect. 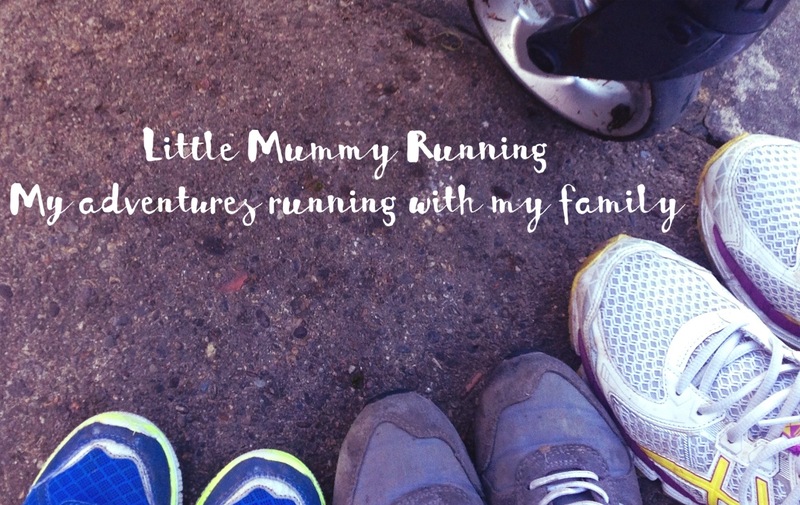 We all wanted to run for the fabulous Raindrops to Rainbows, as the events of last year (Coffee, Cake and Cuddles) have touched us all personally. Even though our abilities varied, our desire to have fun was equal. We each brought something different. The team I have built in life to help me manage day to day is based on criteria similar to that of my running team. MHAW16 focused on the importance of developing and maintaining good relationships to sustain good emotional wellbeing. When you are not feeling well, your instincts can be to push others away and close yourself to relationships. You may feel too proud or embarrassed by your feelings of failure. Relationships do not have to be exclusively limited to partners, children or immediate family. They can be friends, colleagues, managers, support workers or health professionals. Your only requirement is to open yourself up to a two way dialogue, with the people who share your world. Beware of negative relationships. If you are not well, you cannot be responsible for other people. If you are well, do not be frightened to be open to others who may be struggling. Just like the loop back system. Remember that even the greatest super heroes had a team around them. Batman has Robin, Alfred and Commissioner Gordon. Superman has Lois Lane, Jimmy Olsen, Perry White and his mother Martha. Have a look around you now. What relationships Spring out at you? Do they need a little bit of maintenance? Could they help you feel better? Could you help them feel better? Whatever the obstacles, build your team and find your place within it. Where to next? It is another quick turn around and my next run is the Ali Brownlee 5k Riverside Run on Sunday 5th June 2016. I am still raising money for Raindrops to Rainbows. (Follow the link to the Gofundme page). I’m hoping a few members of my team will be with me again.